After a baby’s first year, things really begin to take off! A boy’s vintage airplane birthday party is the perfect theme to celebrate those first-year milestone moments and exciting things on the horizon. 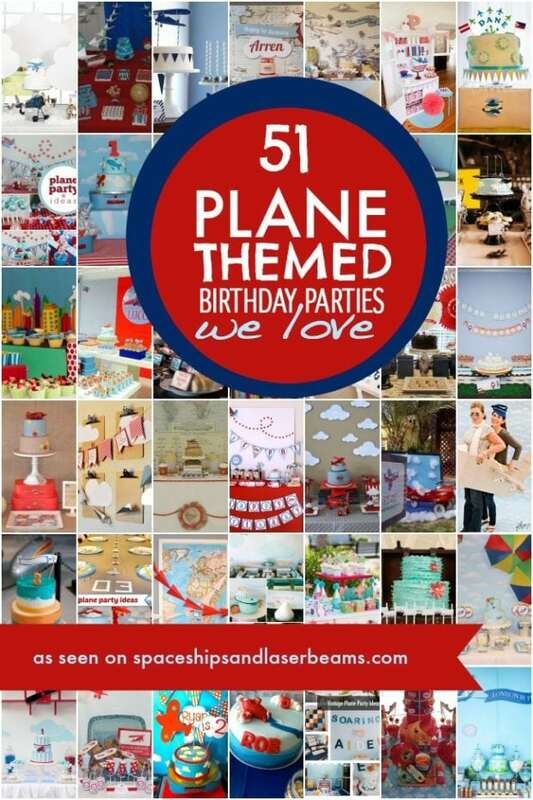 Vegas based event planners, Little Posh Parties, coordinated this one-of-a-kind airplane bash for one-year-old Gavin. Your inspiration will soar as you peruse the party decoration photos by Stephen Joseph Photography. There are so many adorable details, including an amazing birthday cake and a darling baggage claim-inspired favor station. Raise the level of party décor with this Airplane Birthday Party. Soar to new heights by incorporating these High Flying Boy’s Airplane Birthday Ideas in your next party! Are you wondering what to serve at a one-year-old’s birthday party? Peridot Sweets styled up a great refreshment table. I love the simplicity of the setup and the ease of accessibility provided by using the kitchen counter to house a variety of snacks and treats. Most of all, I love that there are options perfect for little snackers and more sophisticated palates. Cute handmade signs, accented with die cut airplanes, label everything from blondie pops to pumpkin petites to red velvet cupcakes to Gavin’s “Twix” and more! For smaller guests, apothecary jars are filled with finger snacks like Cheerios and Cheeze-Its. I love the printable airplane-inspired logos dressing up the jars. Mini die cast model planes make for perfect props mixed in with the snacks. The definite star of the refreshment station is the three-layered cake. Festive and fun and decorated in fondant stripes and stars, the cake is a perfect display piece. The little engine plane on top is adorable! A side table is transformed into a “baggage claim” area. A paper suitcase is opened to reveal custom printable topped favors. Brown paper sacks are embellished with mini airplanes and little “G” monograms. A sweet and simple handmade birthday banner and #1 tissue paper decoration add to the look, providing a nice personalized feel to the party space. From the looks of things, Gavin and crew had quite the fun celebration. Soaring to new heights after such a great party seems certain! Be sure to check out more airplane party ideas here.